Welcome to Carter’s Septic Tank Service Ltd. – your complete septic solution provider, including pumping and installations. We specialize in the rental of modern portable toilets and sanitation solutions for construction sites and special events. For our special events, rent a sparkling fresh wedding toilet for your outdoor nuptials. You will feel secure in the knowledge that it has been scrubbed to perfection using environmentally friendly products. Or choose an entire VIP trailer with individual stalls and a lavish design. At family owned and operated Carter’s Septic Tank Service, we’re known for our solid customer service and competitive pricing. For well over half a century our customers have appreciated our personalized service, coming back every time a new need arises. Please feel free to browse our entire site. You’ll be sure to find what you’re looking for. If not, give us a call and let us tailor a solution to your specific needs. 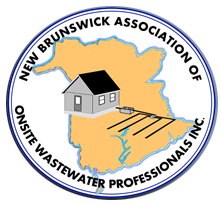 New Brunswick Association of Onsite Wastewater Professionals Inc.